Onkyo DP-S1 is a tidy new portable music player | What Hi-Fi? Onkyo has chosen London's Headroom Show to announce its second-generation digital audio player, the Rubato DP-S1. At 94 x 63 x 15mm (hwd) it's more compact than the company's DP-X1 model, and at £400 it's a fair bit more affordable too. It looks well-specified, too. It's fitted with dual ESS Sabre ES9018C2M DACs, 16GB of internal memory (expandable to a giddy 416GB via twin MicroSD card-slots) and a balanced 2.5mm headphone/line-out socket alongside the more common 3.5mm unbalanced output. The touchscreen display is 2.4in, and dual-band wi-fi (5GHz/2.4GHz) allows streaming from online music services. File support is extensive, ranging from MP3 to FLAC, AIFF (to a maximum of 192kHz/32bit), DSD 5.6MHz/2.8MHz and MQA. The Rubato DP-S1 goes on sale in May. 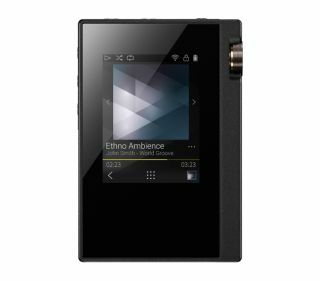 MQA compatibility is due via a firmware update in June.